Last week a crafty hen do enjoyed an evening of candle making with Candle Luci at Country Bumpkin Yurts. 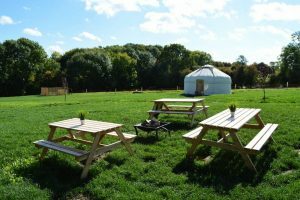 At Country Bumpkin Yurts we love to team up with local businesses who are doing exciting things. Candle Luci is one of those exciting small businesses. Amy, owner and master candlemaker of Candle Luci, produces the most wonderful eco-friendly soy wax candles. We use her heavenly candles in our romantic hampers and guests can book a candle making workshop as a fun glamping activitity. Last weekend saw the first of her workshops at Country Bumpkin Yurts with a lovely hen party group. First, let me tell you more about Amy and her drive to create great homemade candles. Candle Luci was born from Amy’s passion for travel, candles and all things lovely. She also cares deeply about health and the environment. What a woman! Because of Amy’s desire to create something beautiful and good for you, all Candle Luci candles are made from soy wax. Soy wax is like the vegetarian of the candle world. It is environmentally friendly (YAY!) and doesn’t leave soot marks like paraffin wax. That’s great news for our lungs too. Amy carefully chooses her fragrances and hand pours her candles, which makes them extra delicious and divine. We love the luxuriousness of the Candle Luci candles, so supporting her small local business is a no-brainer for us. 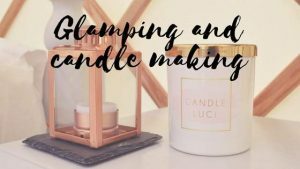 Providing a space for candle making workshops as a glamping activity at Country Bumpkin Yurts is one of our ways of doing this. With her passion and expertise as a candle maker, Amy offers fantastic workshops where you can learn about and make your own candles. What’s involved in a candle making workshop? To start with, you’ll learn a bit of candle history. It’s fascinating to hear how candles came to be what we know today. I won’t share any of that with you now, I’ll leave that to Amy. Then Amy takes you through the process of making candles; from the melting of the soy wax to the infusing with scent and setting. You can see who has the ‘wonkiest wick’ at the end. Everyone gets to take home their beautiful candle and feel that sense of achievement each time it’s burnt. It’s a lovely activity to do during a glamping break. 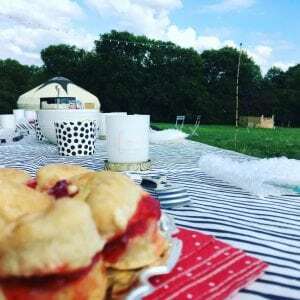 The hen party group enjoyed it during their weekend at Country Bumpkin Yurts last week. It makes for a great activity for a crafty hen. How to book your own candle making workshop with Candle Luci at Country Bumpkin Yurts? It’s simple. 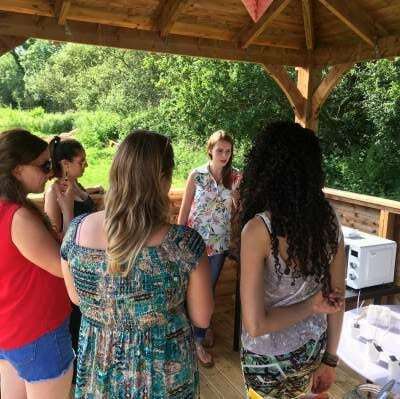 Once you’ve booked your yurt, send us an email letting us know you’d like to have a go at candle making with Amy and we will work out the details for you. It is subject to Amy’s availability – obviously – so the further notice you give us, the better. But we’ll always do our best to make sure you get your chance to make your very own Candle Luci candle whilst you glamp with us. If you’d like to have a browse of Candle Luci candles, have a look at the website here. You can also contact Amy directly if you’re interested in learning about candle making at another time to your glamping break. 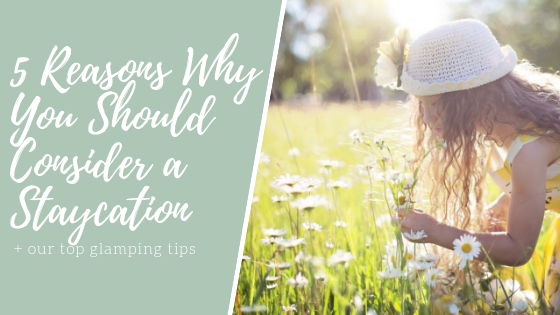 If you haven’t booked your summer glamping break, or your glamping hen party, you better be quick. Our yurts are filling up fast, we’ll soon only have mid-week breaks available. To see our availability and to book, visit our website here. ← Glamping; taking the hassle out of camping.